septembrie | 2015 | .. şi să nu uit să aleg un titlu. Ce trebuia să nu uit?! 26 Brutally Honest Atheist Quotes Worth A Read. Everyone likes honesty. So, I’ve collected 26 honest quotes from atheists that I have read. I think much of this will come to the surprise of many people (atheists, believers & others) who have experienced the foul tactics of Dawkins, and co. 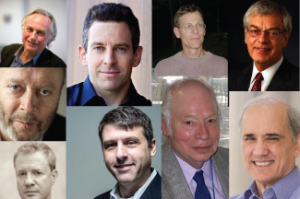 This list will certainly grow (New Atheists are never on shortage of foul, vitriolic statements), and I’ll include any new quotes in a second edition to this article.